Did you know that the skin on your lips is actually thinner than the rest of your body? Unlike regular skin, the absence of the top protective layer on your lips means it is more susceptible to dryness and dullness resulting in cracking or chapping. For over 140 years, Vaseline has been safely helping skin heal. Vaseline believes that healthy skin truly starts with deep healing moisture, and not something you get by masking problems or through quick fixes. 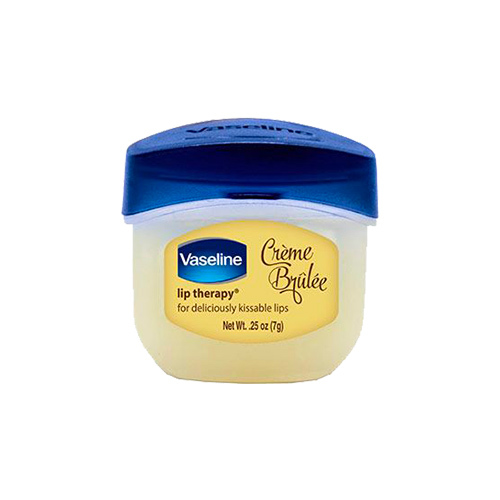 Vaseline Lip Therapy, made with pure Vaseline petroleum jelly, works by creating a barrier that locks in moisture to protect the skin and support its natural recovery process. Clinically proven and dermatologically tested, its non-sticky and non-greasy formula spreads on smoothly, instantly softens and moisturizes dry lips. Crème Brulee Mini melts onto lips to make them smoother and sweeter, while giving the scent of the beloved dessert. Experience the healing power of the new Vaseline Lip Therapy for beautiful and healthy-looking lips. FULL SIZE: 7g PRICE: Php 125 AVAILABLE AT: Watsons Lazada/ BeautyMNL/ Shopee Leading Supermarkets (excluding SM Supermarket) and Department stores SOCIAL MEDIA: FACEBOOK: https://www.facebook.com/VaselinePhilippines/ INSTAGRAM: https://www.instagram.com/VaselinePh/ WEBSITE: http://www.vaseline.ph/ Get yours for FREE here!